The Colosseum or the Vatican? The Pantheon or Fontana di Trevi? How do you possibly squeeze all of Rome's sights into one day? Plus we have to save time to sip espressos at sidewalk cafes. Luckily, we are staying in a central location and arrive early in the day. 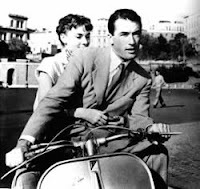 So we will be zipping along the streets (a la Roman Holiday), soaking up the city and all of its sights.